Is Paula Deen a raging racist or just a nice lady who likes ham? Her lawyer says a sexual harassment suit alleging racism is total bunk. Here’s why. 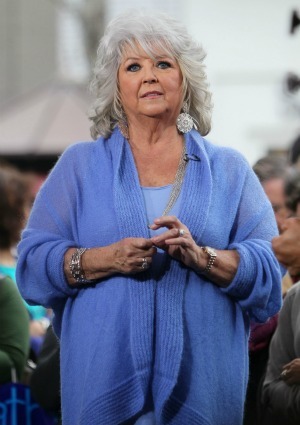 It’s not shaping up to be a great year for Paula Deen. First there was the whole diabetes fiasco, and now she is being sued for sexual harassment and accused of being absurdly racist. An odd accusation to make of someone who is pretty much BFFs with Oprah, right? The legal team is basically saying Jackson tried to extort Deen and now is going to the press in an attempt to wrangle a hefty settlement, most likely in an attempt to ease her own hefty financial woes. According to RadarOnline, Jackson owes almost $64,000 in back taxes from 2001 to 2005. Paula Deen was just featured on an episode of Oprah’s Next Chapter in which she welcomed the media icon and Gayle King into her home for the weekend, throwing a lovely slumber party and brunch. Oprah and Gayle are both black, in case you live under a rock, and Oprah and Deen are longtime friends. Not to use the “some of my best friends are black” excuse, but a person with the alleged level of racism in the suit wouldn’t actually have any black friends, would they? Tell us: Do you believe that Paula Deen is a racist?